Next, a report from the Census Bureau showed that orders for U.S.-manufactured durable goods (items meant to last at least three years) rose in November by $3.1 billion (1.3 percent) to $241.4 billion. That was a smaller rebound than expected, but the October figure was revised higher. A jump in bookings for commercial aircraft contributed to the strong headline gain, but “core” durable goods orders, which exclude the volatile transportation component, actually fell by 0.1 percent in November. 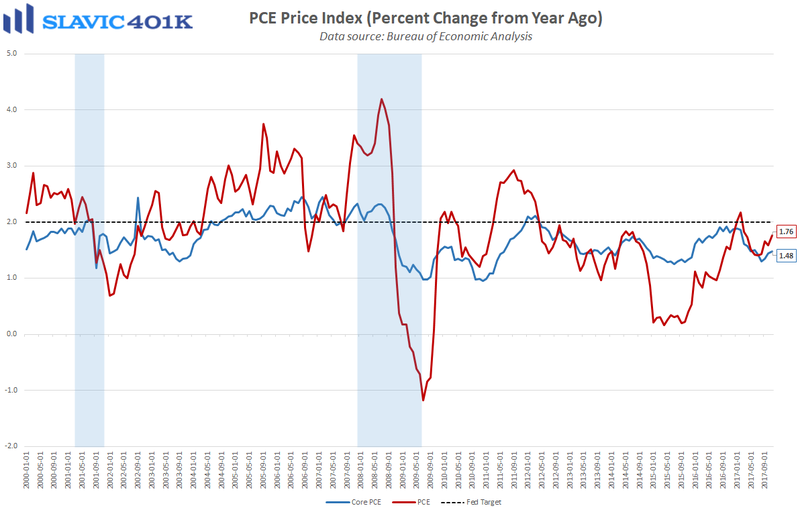 That was significantly worse than the 0.5 percent gain economists had forecast. Similarly, orders for nondefense capital goods excluding aircraft, i.e. 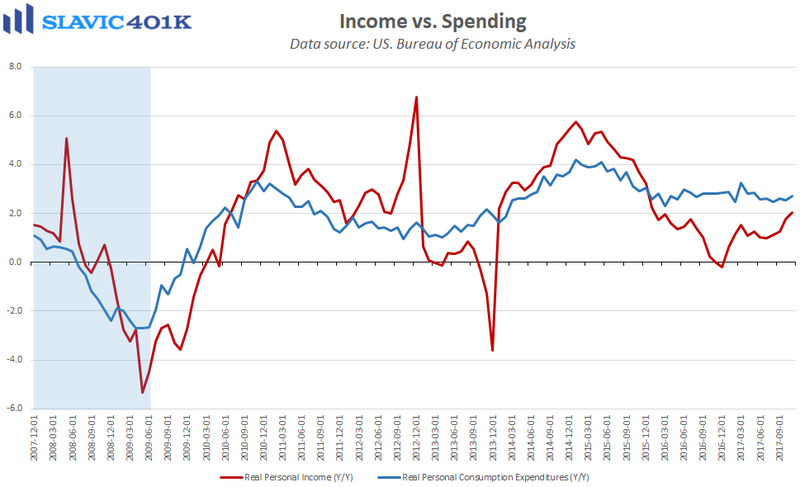 core capital expenditures, an important proxy for U.S. business investment, also declined by 0.1 percent last month. That was much worse than anticipated, but the October figure was revised significantly higher. Looking ahead, business investment could strengthen in 2018 as a result of the lower corporate tax rates seen in the bill signed into law earlier this morning by the President. 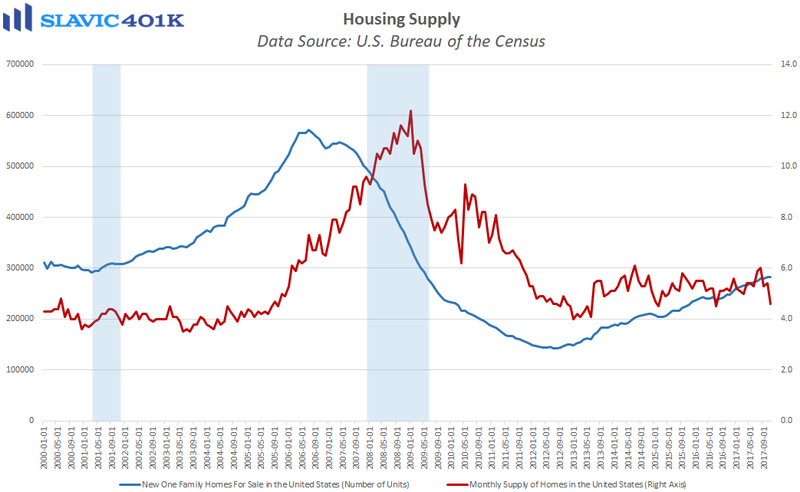 Elsewhere, data from the Census Bureau showed that sales of new single-family homes in America surged by 17.5 percent in November to a seasonally adjusted annual rate of 733K units. That was significantly better than economists expected and the largest monthly increase in a quarter of a century. 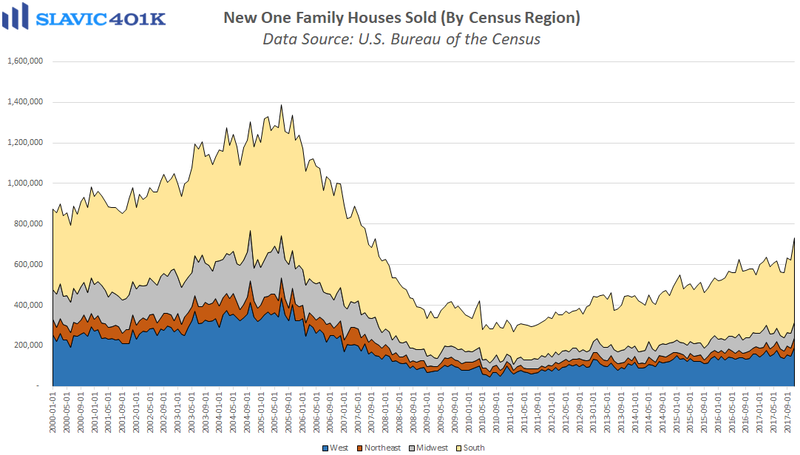 Regionally, new home sales rose across the country in November, but the biggest gains were found in the West (+31.1%) and the South (+14.9%). The inventory of new single-family homes in November was unchanged from October, and months’ supply fell to 4.6 based on the current sales pace. 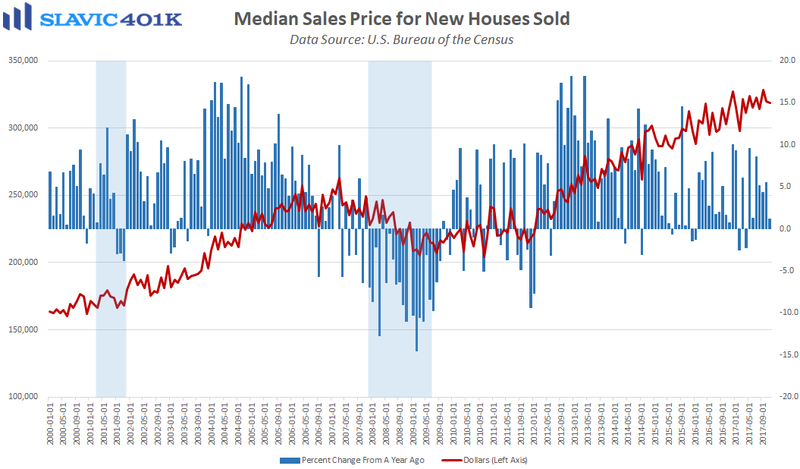 The median selling price of new houses sold in November was $318,700, 1.2 percent higher compared to this same period last year. 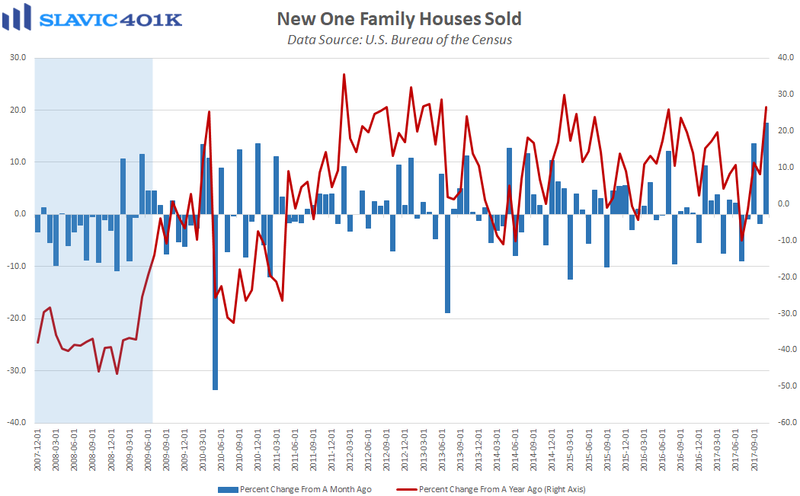 Most importantly, this was another solid report on new home sales growth in America, which is encouraging since this particular economic metric tends to head sharply lower ahead of a recession.